Our largest size of skip, the 35 yard roll on/off skip is ideal for large volume commercial waste producers and large scale construction operations. 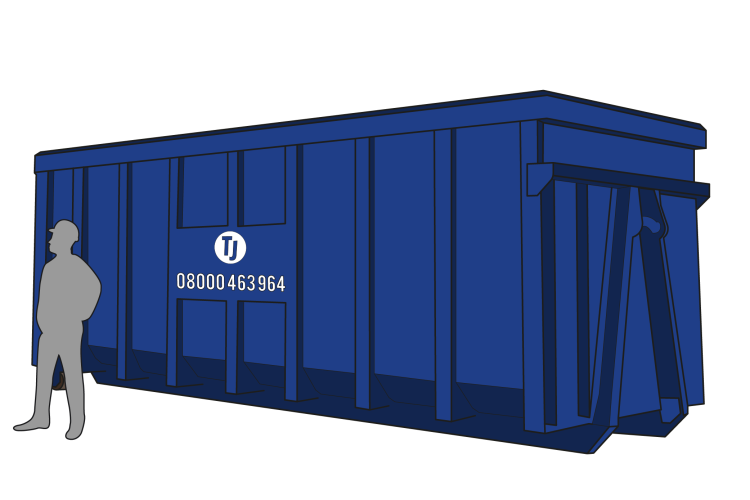 35 yard skips are perfectly suited to the disposal of large quantities of light, bulky waste, but they can also accommodate heavier materials. Everything from wood, metal, plasterboard, plastics, glass, cardboard, and paper, through to dry recyclables, window frames, builders waste, industrial and demolition waste, and commercial waste can be stored within this skip. Due to the large dimensions of this roll on/off skip, they are usually only permitted to be positioned in an off-road location. Learn more about roll on/off skips in our guide. Committed to delivering the highest possible standard of service, here at TJ Waste, we aim to make hiring a 35 yard skip across the South East of England easy and affordable. We’ll also remove and dispose of your waste efficiently. 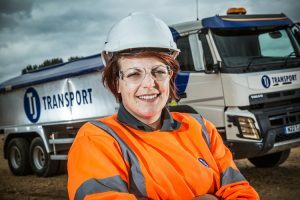 For further information about hiring a 35 yard roll on/off skip, to get a no-obligation quote, or to discuss your specific requirements further, get in touch with our team today – we’re ready and waiting to help. 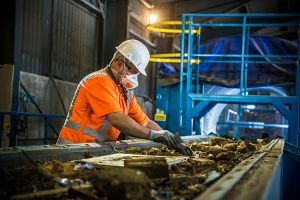 It’s no mistake we’re one of the most well known waste management providers in the South East, our waste solutions span from domestic skip hire to high volume commercial waste plans throughout Southampton, Portsmouth and Chichester. Regardless of who you are, we are proud to deliver the same great service day-in-day-out. As testament to this, we have been awarded the Feefo Gold Trusted Merchant accreditation by achieving 95% customer satisfaction, through purchase verified impartial customer reviews.